One difference between the tech giants of the dot-com era and tech giants now? Today’s juggernauts really are massive, and not just in the eyes of exuberant investors. That doesn’t mean they don’t present risks. When the dot-com bubble reached its apex on March 10, 2000, the prices put on that era’s major tech companies made them simply too big to ignore. Microsoft , Intel and Oracle — a group that earned the moniker “the four horsemen” (with Dell Computer sometimes taking Oracle’s place)—accounted for about 13.9 per cent of the S&P 500’s market capitalization. Among those old favorites, only one—Microsoft—is worth more today, having recently reclaimed the No. 1 slot. It is closely followed by Apple , Amazon and Google parent Alphabet. Together, the stablemates account for about 13.5 per cent of the S&P 500’s market value—not far from the old horsemen’s historic share. Today’s versions have a lot more economic clout, though. Combined, they have annual sales of about $750 billion, about 10 times that of their counterparts during the tech bubble, and they make up 6.4 per cent of the total S&P 500 sales today, or more than four times the proportion back in 2000. This larger footprint doesn’t reflect any one company. Apple and Amazon (technically a retailer) each account for about 2 per cent of S&P 500 sales, while Microsoft and Alphabet each account for about 1 per cent. The story is similar for earnings, with today’s tech giants accounting for 11 per cent of the S&P’s total—more than double their counterparts back in March 2000. That is a far healthier picture than during the tech bubble when steep valuations placed on the horsemen were built on unrealistically rosy projections. As a group, the total return of original horsemen has underperformed the S&P 500’s return by more than 100 percentage points over the past 19 years. The greatly increased sales and earnings of the current crop of tech juggernauts put more bedrock below their share prices. That still doesn’t mean today’s tech titans will be good investments over the longer term. While bigness has its advantages, such as the lower costs that come with scale, it has its downsides too. To begin with, there are only so many dollars out there to obtain, and with combined sales that come to nearly 1 per cent of global gross domestic product, Microsoft, Apple, Amazon and Alphabet’s ability to grow faster than the economy may be brushing up against size constraints. Giant companies can be less agile than smaller competitors, making it harder for them to adapt when the business environment changes. Indeed, Microsoft, Apple, Amazon and Alphabet in their earlier days embodied the Silicon Valley ideal of disrupters sticking it to the man. 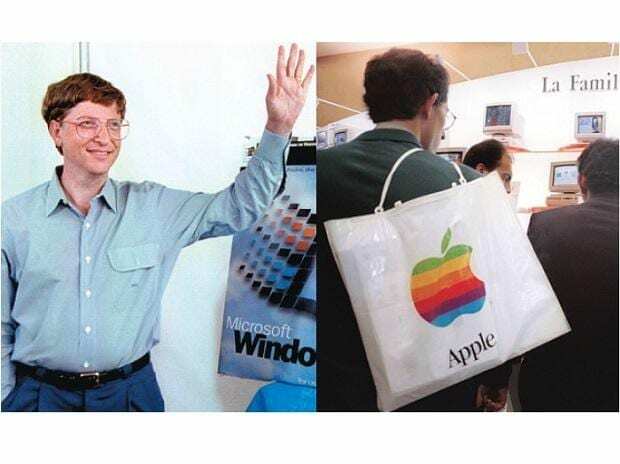 Microsoft and Apple were both major players in the personal-computing revolution that supplanted minicomputer and mainframe makers, Amazon upended retailing and Alphabet toppled the advertising business. Now they are the man. Massive companies also can face greater regulatory constraints. Acquisitions they pursue might be barred on competition grounds, and sometimes regulators decide a company is just too big: American Telephone & Telegraph had the largest US market capitalization at the end of 1981. In January 1982 it settled the Justice Department’s antitrust suit against it by agreeing to split itself up. On Friday, Sen.
Bigness has often made for poor investment outcomes. An analysis conducted by Rob Arnott and Lillian Wu of Research Affiliates found that, over the period from 1951 to 2011, U.S. companies with the highest market capitalizations in their sector, as well as outright market-cap leaders, tended to underperform in the years that followed. Of course big companies can defy gravity for long, profitable stretches. Apple first became the U.S. market capitalization leader in August 2011, when it was worth about $340 billion. Its shares continued to do very well, sending the company’s market capitalization to $1.1 trillion this past September. With Apple sales expected to slip over the next year, though, the company’s bigness may have become a constraint on growth. Apple shares have fallen by nearly a quarter since September. Amazon, which briefly flirted with a trillion-dollar value in September, has also experienced steep share-price decline. Shares of Alphabet and Microsoft shares have registered smaller declines, faring around as well as the overall market. But while the horse race among the new horsemen is entertaining, investors might be better off looking elsewhere considering how well the market’s past giants have performed. There are 496 other companies in the S&P 500, after all.